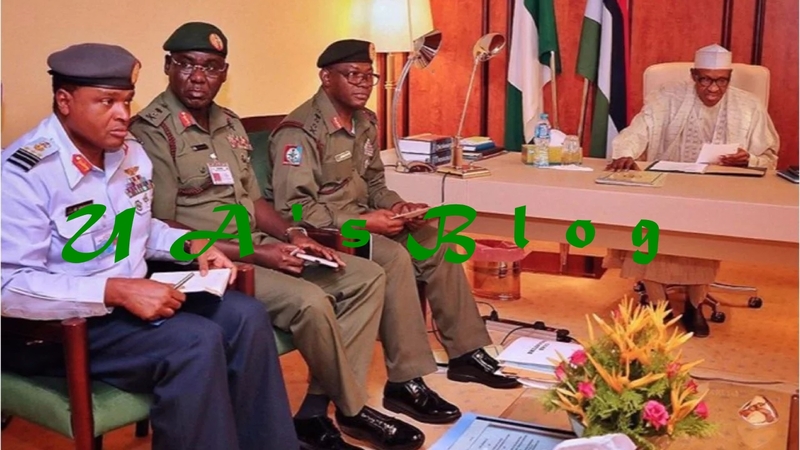 President Muhammadu Buhari is currently in a closed-door meeting with security chiefs at the Presidential Villa, in Abuja. Details of the discussion are not readily available to newsmen as at the time of filing this report. Recall that Buhari had met with governors elected on the platform of the ruling All Progressives Congress (APC), on Wednesday. The President is billed to proceed on a 10-day vacation to the United Kingdom, beginning from Friday.